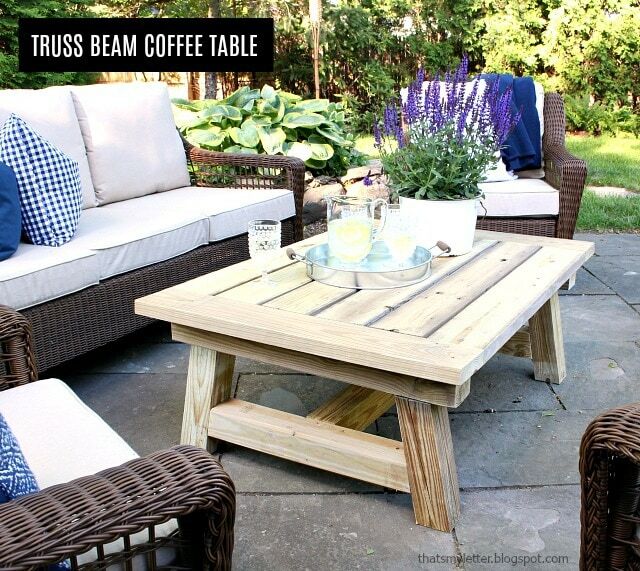 Our backyard patio space got a makeover this Spring and that included building this truss beam coffee table. 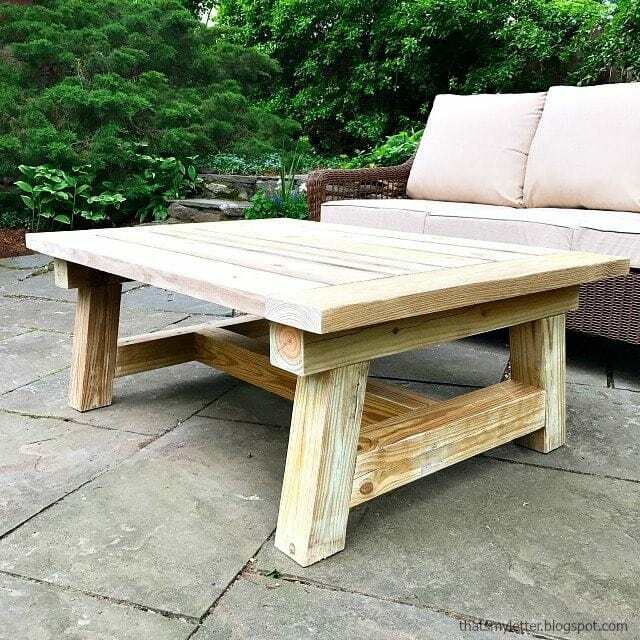 It’s solid and even better I built it reusing lumber from the previous large dining table we had there before. 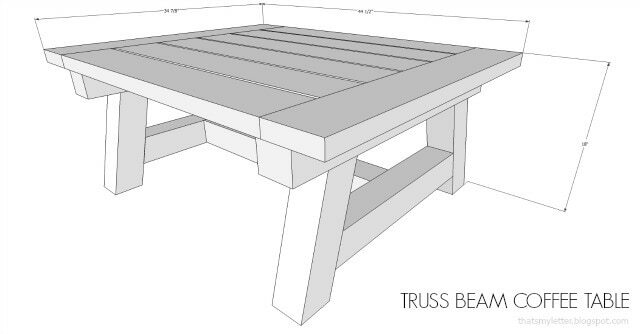 I based this coffee table plan off of Ana White’s truss beam dining table. 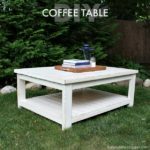 And I will say this coffee table version is even easier to build than the dining table. 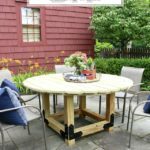 I love the thick, chunky look and weight of this table against the woven wicker of the seating furniture. 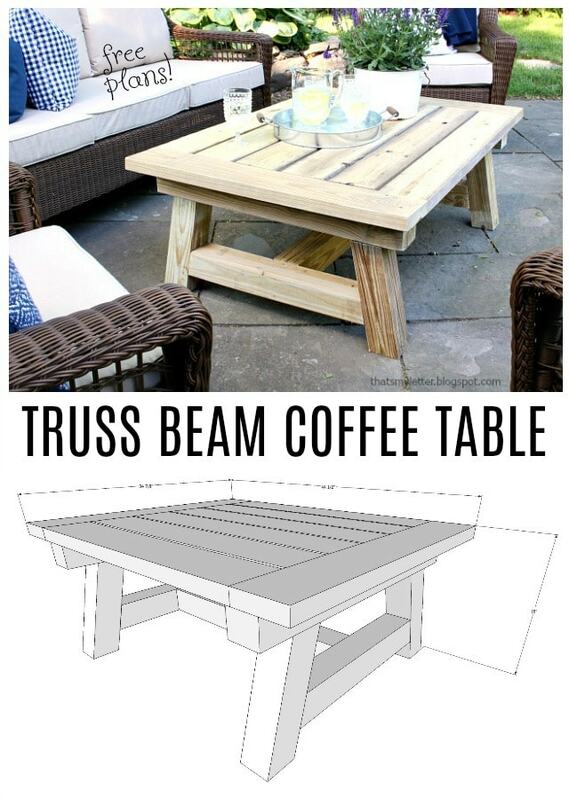 I put together step by step plans so you can make your own truss beam coffee table. Please follow all safety precautions when operating power tools. Click here for free printable PDF version of the plans. 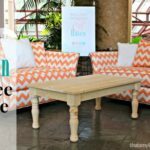 I suggest reading through the plans entirely before beginning and scroll down for a few building notes. 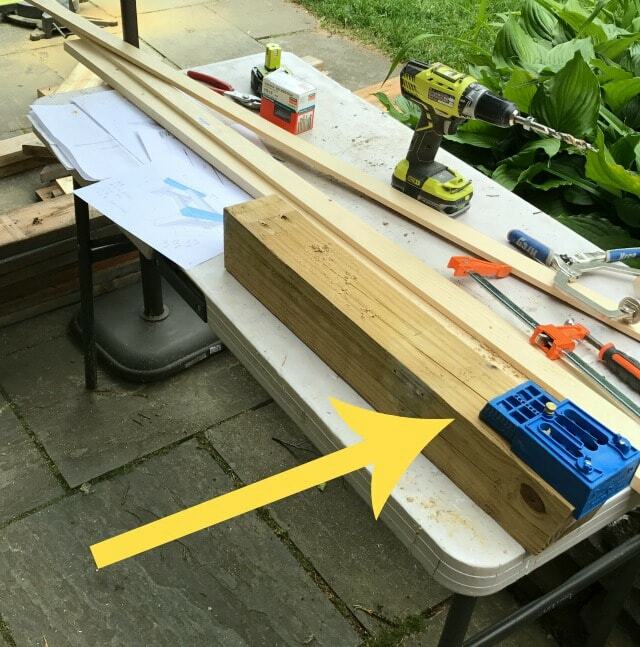 This table is built using 4×4 lumber so in order to make pocket holes remove the portable portion of your Kreg pocket hole jig and clamp it to the boards. Alternatively you can attach all the boards using lag bolts if you don’t mind the visible hardware. 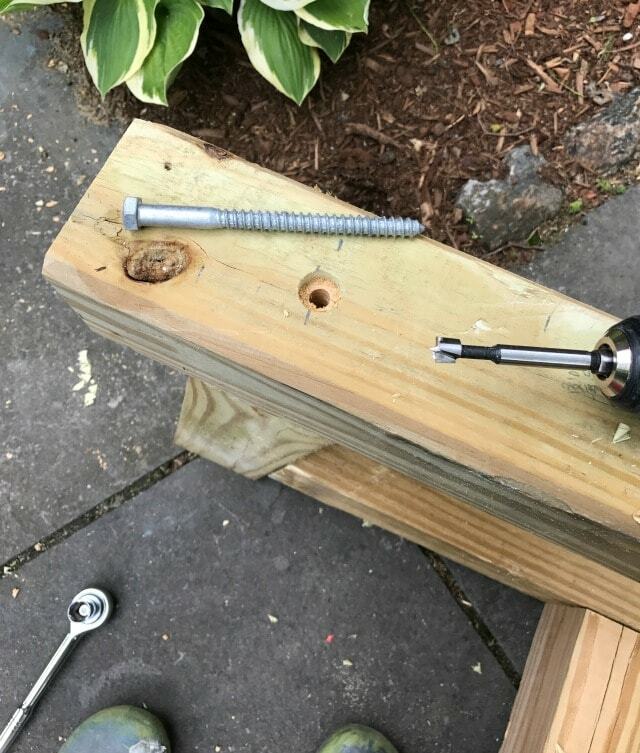 When attaching the top support to the legs I suggest predrilling using a forstner bit in order to get the lag bolts down into position. 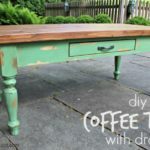 I will be finishing this coffee table very soon but for the moment it’s only sanded and we love it! Jaime, You have the best projects! 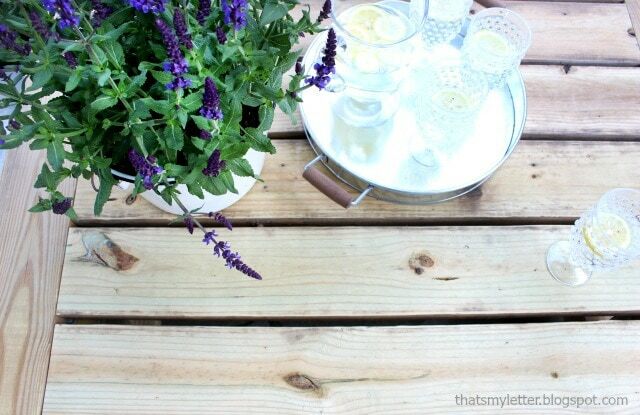 Our outside coffee table is on it's last legs and I love the look of yours. Pinning for when we need to make one. 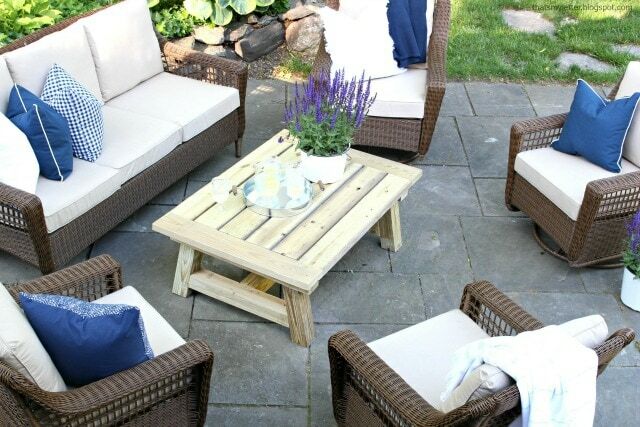 It turned out great and I really like the contrast of it with your wicker sofa and chairs.